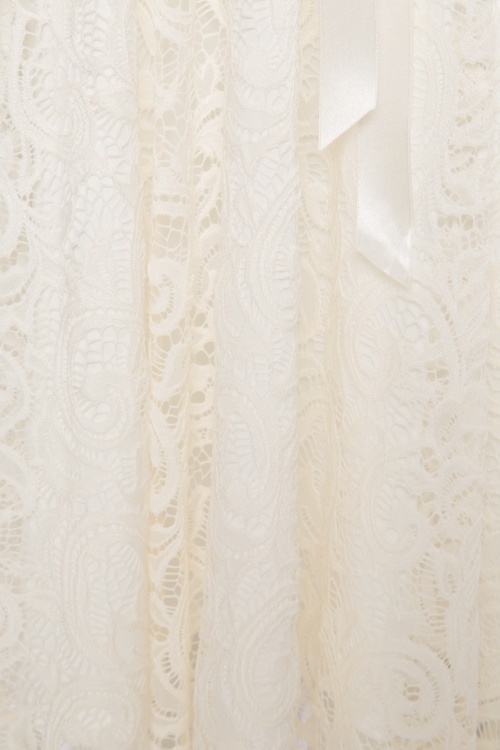 We absolutely adore lace, especially in this pretty ivory white tone, wow! 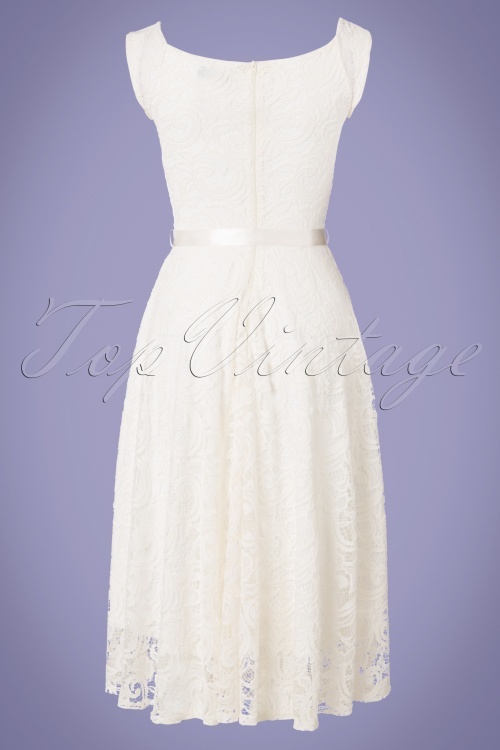 This beauty features an elegant V-neckline and runs into a full swing skirt with a detachable satin ribbon at the waist for a lovely summery and flirty 50s silhouette. 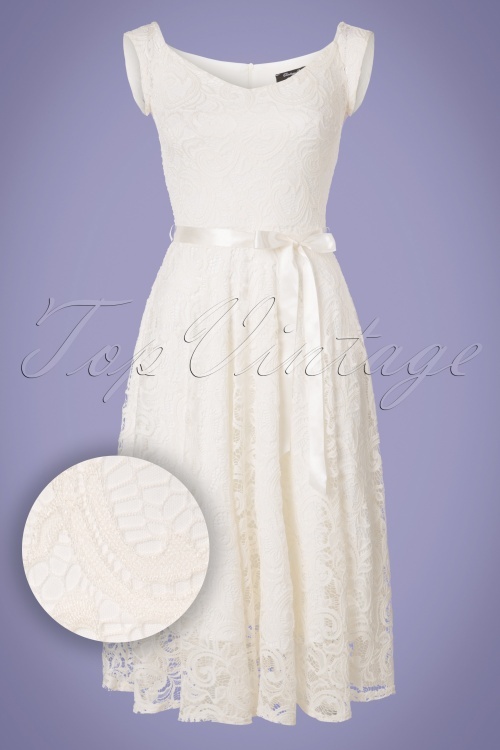 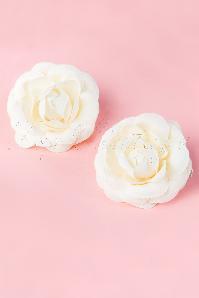 Made from a soft and supple, ivory white lace with a light stretch and is fully lined which makes her a joy to wear. 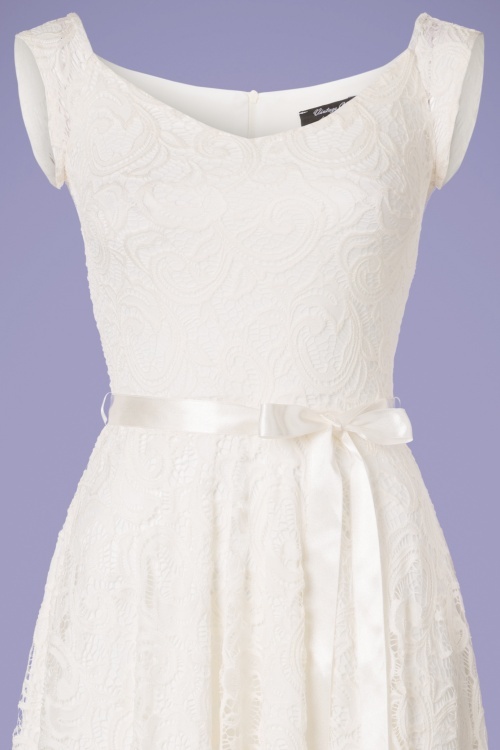 Show them your style and grace, in the prettiest lace!